City cruising and riding through the park. 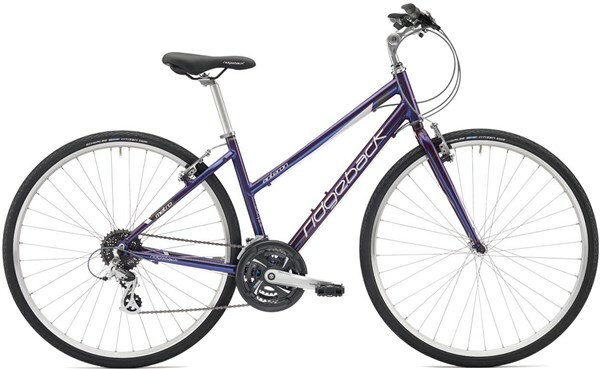 The Ridgeback Anerton Open Frame is a women’s specific hybrid bike that offers a comfortable, upright cycling position and is ideal for relaxed commuting as well as fitness and leisure cycling. Ridgeback’s bestselling commuter category, the Metro range of hybrid bikes returns with an updated look to go with its practical and reliable design. Designed for everyday use, a short test ride of one of these benchmark commuter bikes will confirm why the Metro category is so popular. The range topping Tensor is updated for 2018. Designed around the standard Metro frame platform, Tensor is the bells and whistles version. Specified with a sleek new rack and mudguards, Tensor is perfect for those rainy morning commutes. It doesn't stop there however, as the Tensor also comes with front and rear AXA dynamo lights, both powered by a high-quality Shimano dynamo hub. A kickstand and chain cover top off what could be our most complete package to date. Practical, reliable and stylish. A Ridgeback Metro is the perfect bikes to get you from A to B. Please note; only specific Ridgeback Metro range bikes are fitted with mudguards, racks and dynamo lights.